The result also comes after Ms. Merkel campaigned in person for the CDU, something that she had not done in other regional elections this year. Protesters met Merkel with boos as she gave her speech last week. 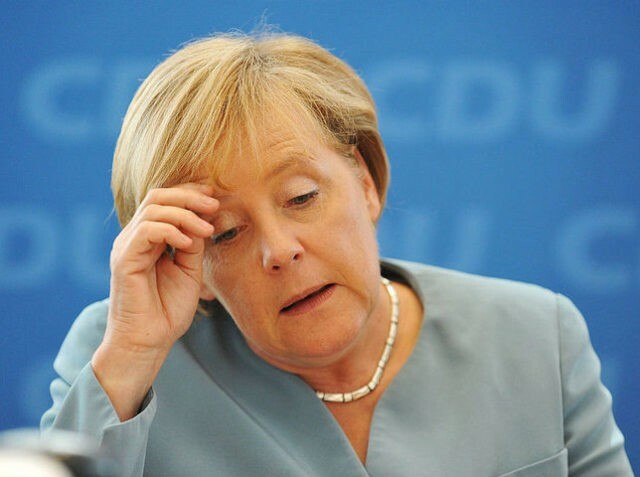 The loss in Mecklenburg-Vorpommern, largely due to a surge in support for the anti-mass migration Alternative for Germany, has been the biggest loss for the CDU and even Merkel herself was forced to admit her migrant policies had much to do with the outcome. Berlin, which is known for having a large base of left-wing support, saw strong showings from the Social Democrats (SPD), the Left Party and the Greens. Figures show that although the SPD have won the most votes, their overall votes compared to the last election in 2011 have declined by over 5 per cent, on par with the CDU. The Alternative for Germany (AfD) have, by contrast with Merkel’s party, seen huge gains in Berlin, a city where many thought the party would have enormous difficulty. The AfD were able to tap into a large portion of the population in the city who had never voted before giving them just under 15 per cent of the vote, although initial exit polls predicted a result several percentage points lower. The results have led many German political pundits to estimate that the new Berlin coalition will consist of the Socialists, the Greens and the Left party, an outcome that will likely provide more money for migrants and confirm Berlin as one of the most left-wing cities in Germany.